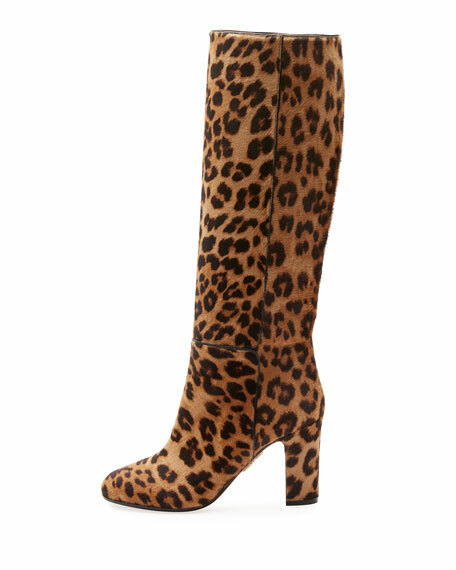 Aquazzura boot in leopard-print, dyed calf hair (New Zealand) fur. For in-store inquiries, use sku #2257484. 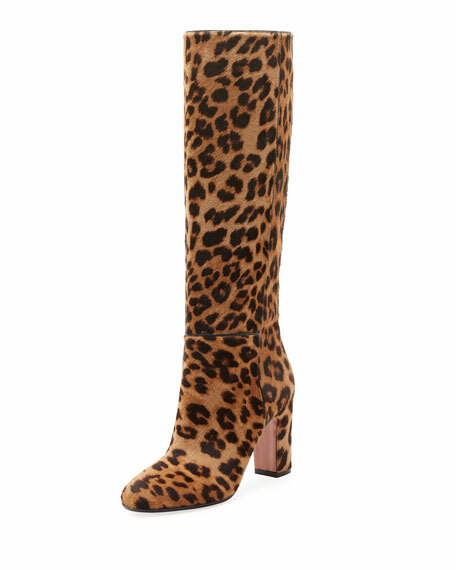 Amiri moto boots in leopard-print dyed calf hair (USA). 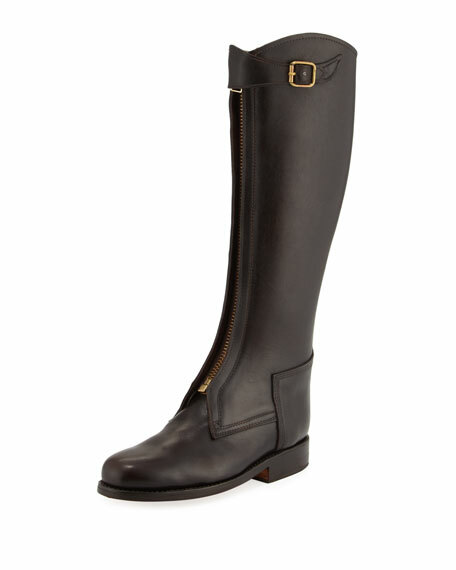 1.8" stacked heel. Harness with chain detail. Side zip eases dress. 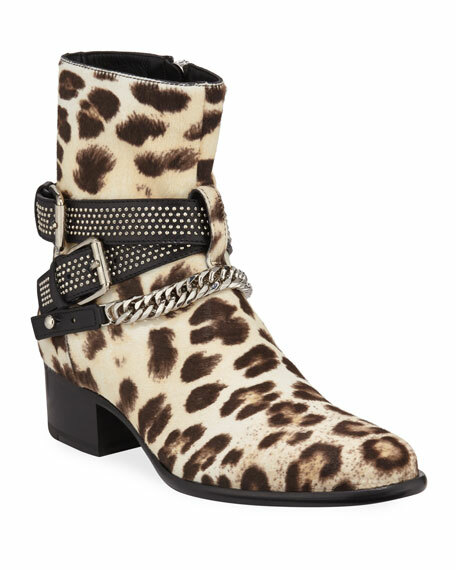 Wraparound buckled straps. Leather lining and sole. Made in Italy. 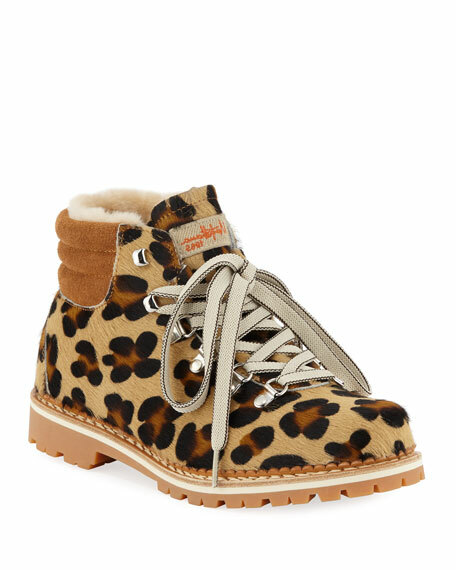 Giuseppe Zanotti suede hiker boot. Dyed sheep shearling (Spain) fur trim. Flat heel. Round toe. Lace-up front. Dual side zips. Rubber outsole. "Jasmin" is made in Italy.